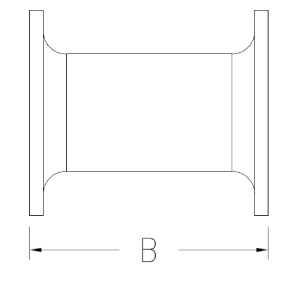 The following table lists the lengths of short flared ends Pexgol sections. 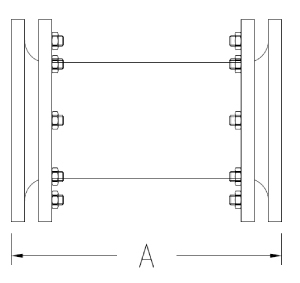 The A length is relevant for short sections which are supplied with regular flanges. The shorter B length is applicable for short sections which are supplied with split flanges that can be mounted after the short section is flared. The short sections with flared ends are produced with a tolerance of +/- 10 mm in length.